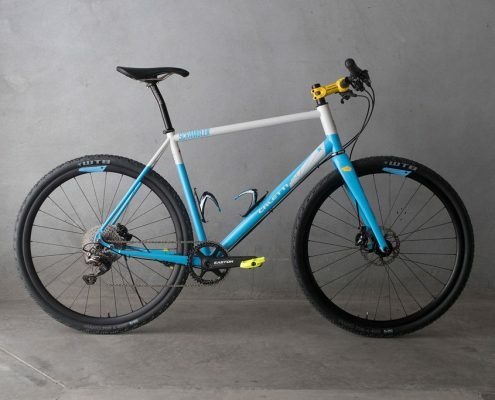 The SCRAMBLER is a flat bar specific cross/gravel bike. 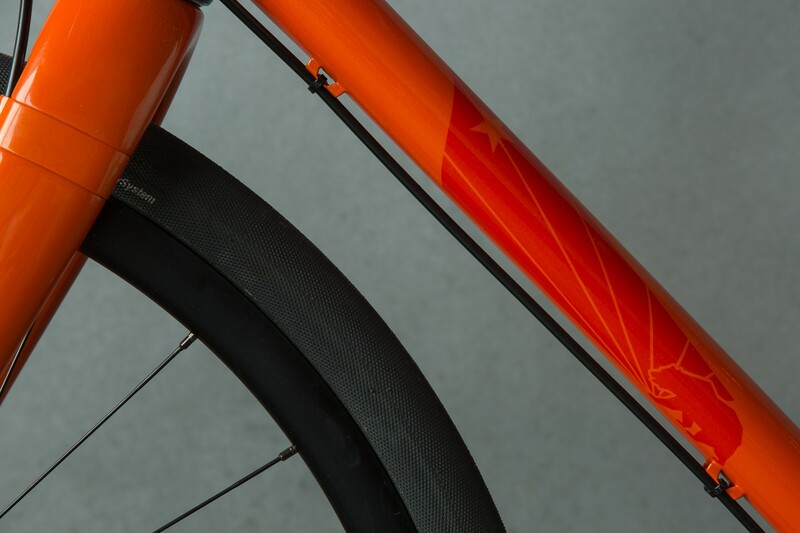 We designed the geometry from the ground up to utilize flat bars. 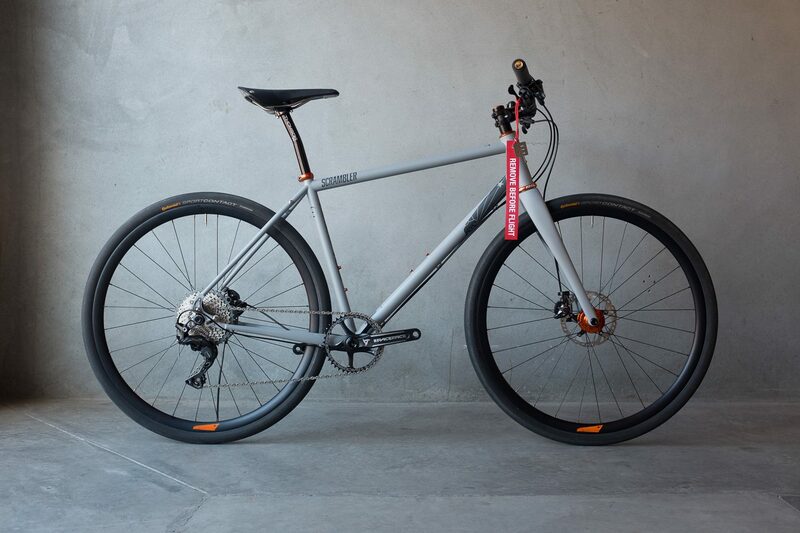 The SCRAMBLER is our 100% fun, versatile ripper. 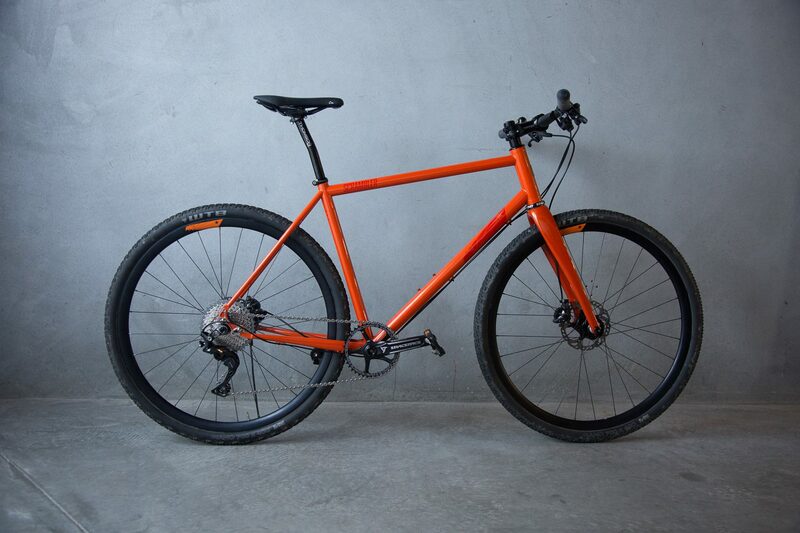 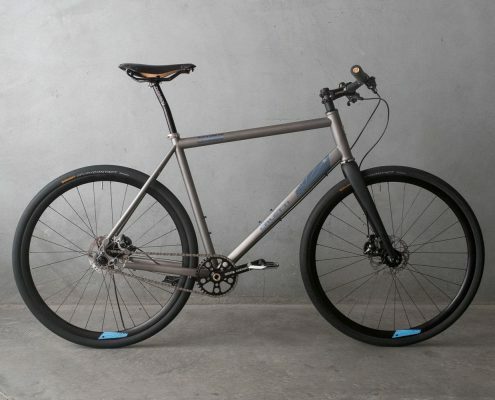 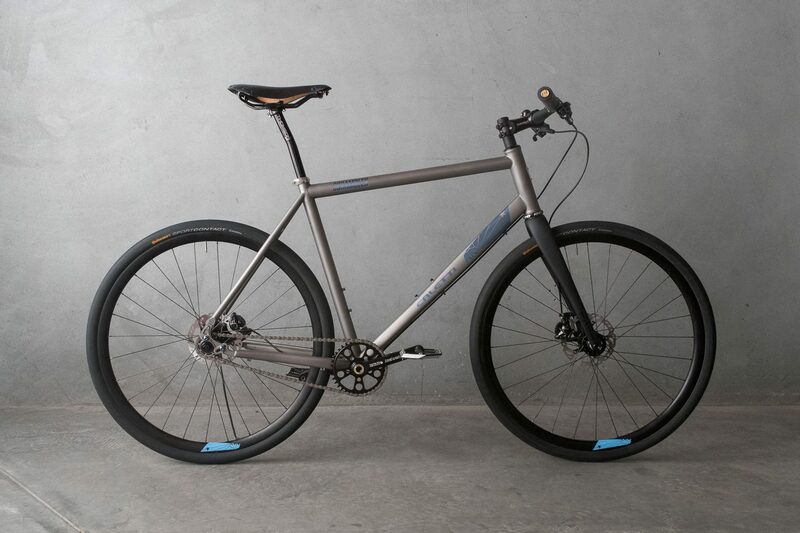 It’s ready to rip around town, grind gravel, shred singletrack, commute to work and escape town on a bike tour. 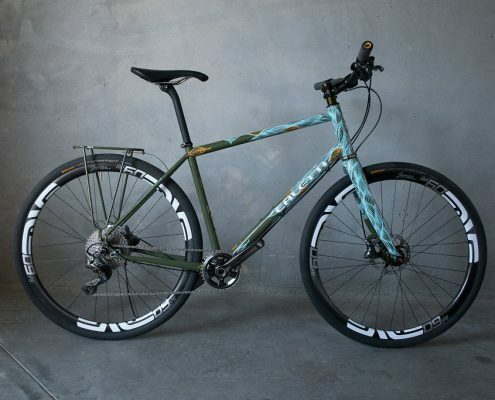 It’s the perfect mixed terrain bike. 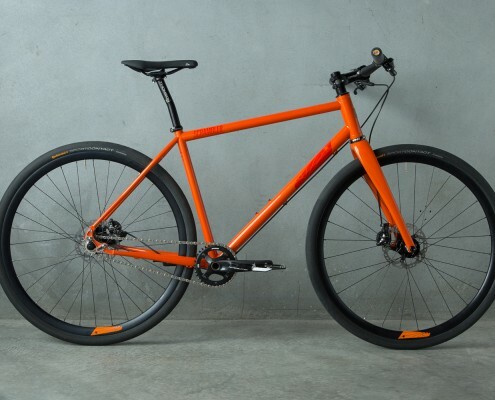 Complete bikes start at $5700. 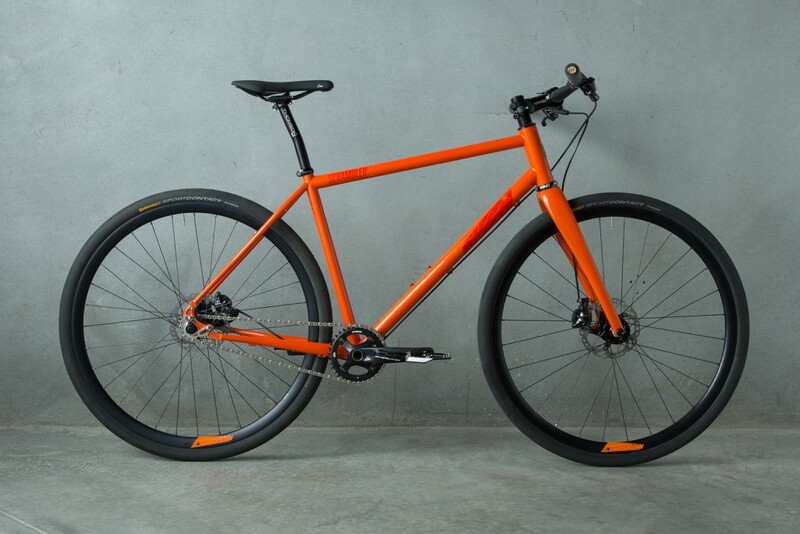 Contact us for complete bike pricing with your preferred group. 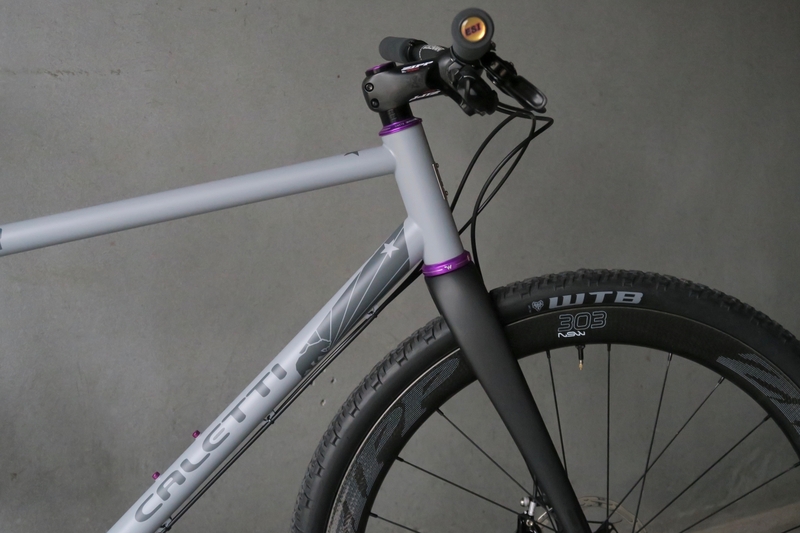 Contact John 831-426-0575 or info@caletticycles.com to learn more or start your order. 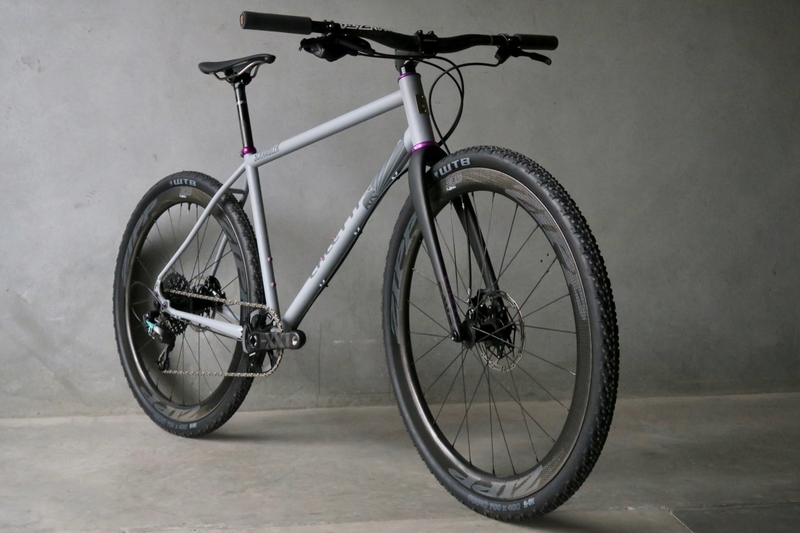 Slider dropouts allow you to easily set it up for geared on single speed use, replace a damaged derailleur hanger or use an internally geared hub. 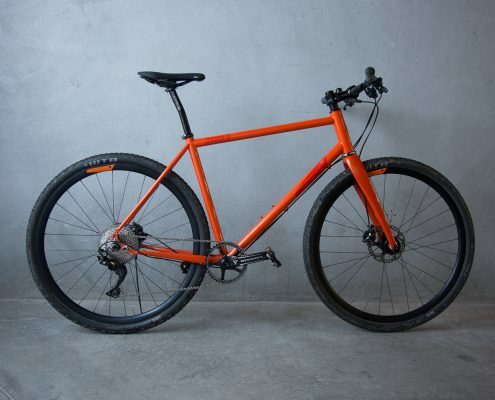 A favorite complete SCRAMBLER option is an XT build for $5892 which includes: Steel frame in standard size, Shimano XT disc brake levers and rotors with Ultegra flat mount calipers, XT shifter, rear derailleur, chain, 11-42 cassette, Race Face Turbine cranks with 40T ring and BB, Chris King + HED Belgium plus wheels, Chris King headset, Enve Gravel carbon fork, ESI silicone grips, Fabric Ti railed saddle, Thomson seatpost and stem, Enve carbon riser bar, Gravel King 43mm tubeless tires.